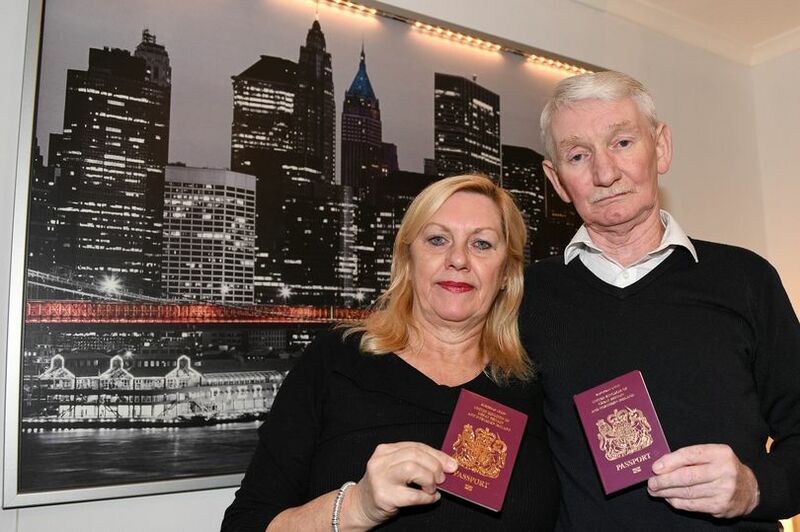 John Steveson and his wife Marion have always wanted to go to New York, and decided his 70th birthday would be the perfect opportunity. Accepting they're both getting older, they realised this would probably be their last chance so started planning their dream holiday. They splashed out £3,000 on the trip, and were counting down the days but then a call from the US Customs and Border Protection left their dream in tatters. 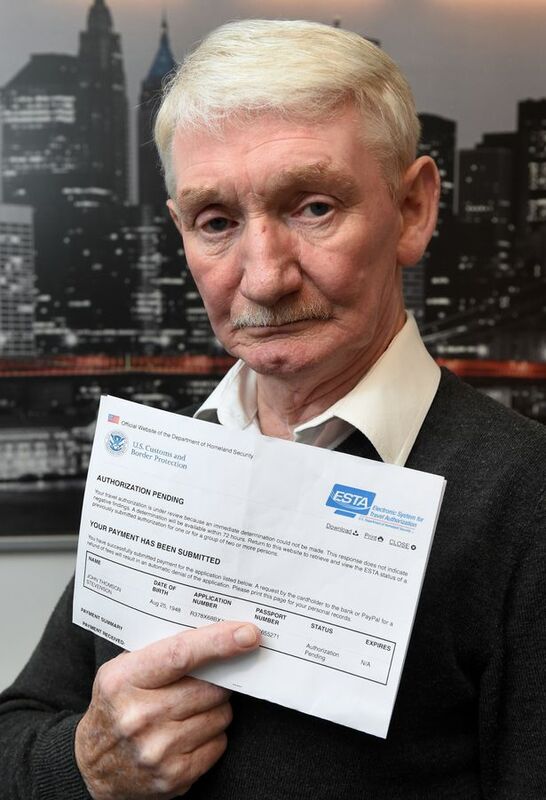 Grandad-of-five John, who lives in Greenock in Scotland, was told an error on his visa application has resulted in him being branded a terrorist, reports the Daily Record. The cabbie was told by US official that he's now considered a "threat to their national security" and he might struggle to travel to other countries because of the error. Speaking to the Daily Record, he said: "I'm a pensioner from Greenock, not some international terrorist. It's laughable. "I couldn't even lift a gun, let alone fire one. I've never been in trouble in my life and it's ridiculous that I'm being banned from travelling to the States." In the lead up to their trip John and Marion applied for their Electronic System for Travel Authorisation (ESTA), which are a legal requirement to enter the country. However when he was filling out the online form the session timed out. He said: "I typed my passport number back in and it said continue where you left off. I thought, 'Oh that's a relief' and finished the application." But then a week later John found out his application had been rejected so he called the US Customs and Border Protection to find out what was going on. He said: "I couldn't believe what I was hearing and can only assume that the answer to the question 'Are you a terrorist?' switched from no to yes when my computer timed out. "There's no other possible explanation. "The only time I've been in court was for jury service and now I'm being treated like a criminal. "I tried to explain it was clearly a mix-up but their security office says when they check my passport number, it says I am classed as a terrorist. "It's ludicrous to think that an elderly man like me could pose a threat to US security. "This was a special trip because it was for my 70th. All of the family were excited and we had planned everything we wanted to do. "Marion always wanted to see New York at Christmas time. This has left us shattered. "We don’t even want to think about Christmas or celebrating now. It’s just turned into a nightmare." The glitch has cost the couple £3,000. He said: "My wife spent two nights in tears because we are both getting older and this was the last chance we'd get to go to America." The only possible fix for John is to travel to the US Embassy in London where he could face days of questioning to prove he's not a threat. Marion, 71, added: "It's shocking. I don't know why that question is on the form in the first place." The US Embassy and Consulates in the UK said they do not comment on individual cases.